May you find delicious and healthy food in 2015! To usher out the old and bring in the new, I decided to make a a fermented salsa verde, which uses new ingredients until they are old. I fermented chunks of tomatillos, jalapenos, garlic and onion to pickle them for a week, and then put the jars in the fridge. Fermented veggies can keep for a long time, years in fact. 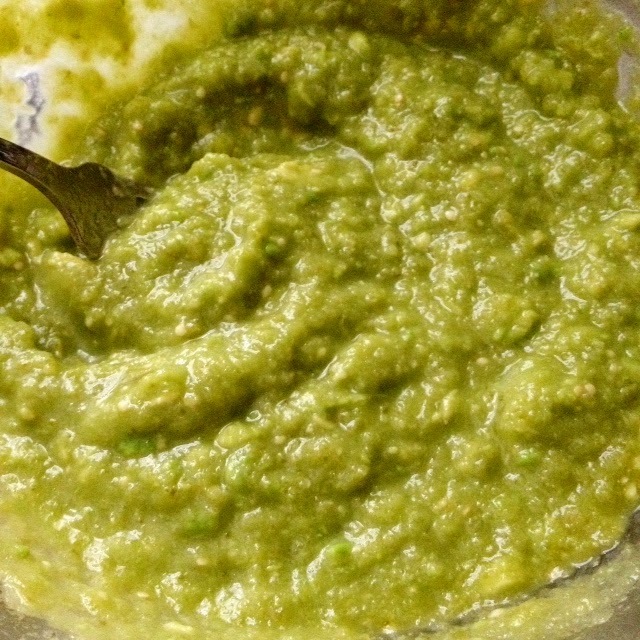 Then when I am ready to serve the salsa, I whirl up a jar of the fermented chunks of goodness in a food processor, and then stir in a ripe avocado. The result is outstanding. It is so delicious, that I want to lick the bowl.